· What are Rack Rental Tokens and where do you get them? · How do you see if INE’s racks will be available when you need them? 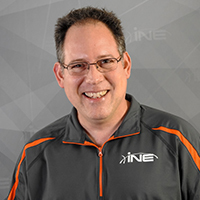 · How does one schedule time on INEs racks? · How do you manage existing configuration files for loading into your racks (either before, or during, a session)? · How can you set the IOS devices in your racks back to a factory default setting? · How do you access the equipment within your rack? …and many, many more topics. After watching this short collection of videos, you should have all of the resources you need to start practicing with our equipment during your CCNA (or NP or IE) preparation!